MARK: You know what’s weird about the Boss? ALEX: Did you really just ask that question? MARK: No, I’m serious. he hasn’t had those flaming letters following him around lately. ALEX: Now that you mention it… You’re right. I wonder where they are. STEVE CASE: What IS that thing, and why does it keep following me around? 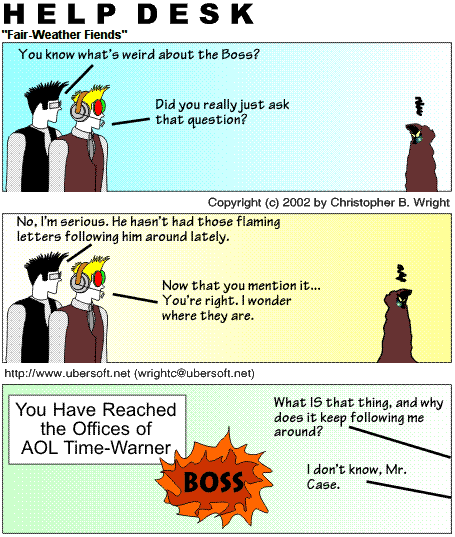 AOL EMPLOYEE: I don’t know, Mr. Case.